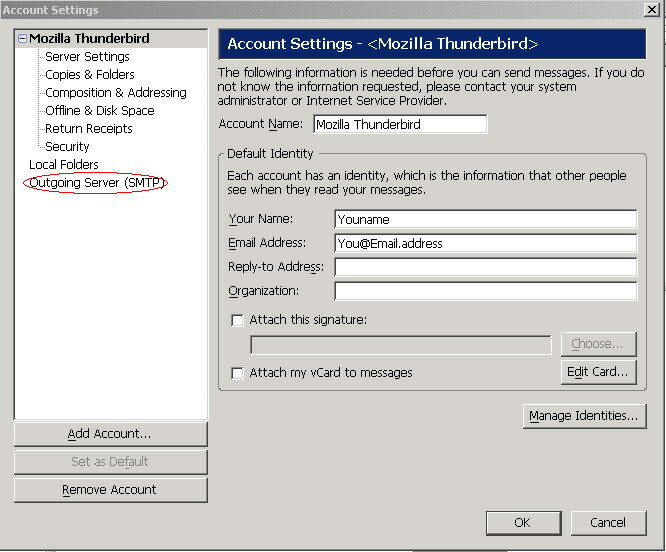 To assist our users in using our Mail Relay Outbound service, this document describe the precedures on how to connfigure Mozilla Thunderbird - SMTP Authentication Configuration to work with the service at DnsExit.com. 3. 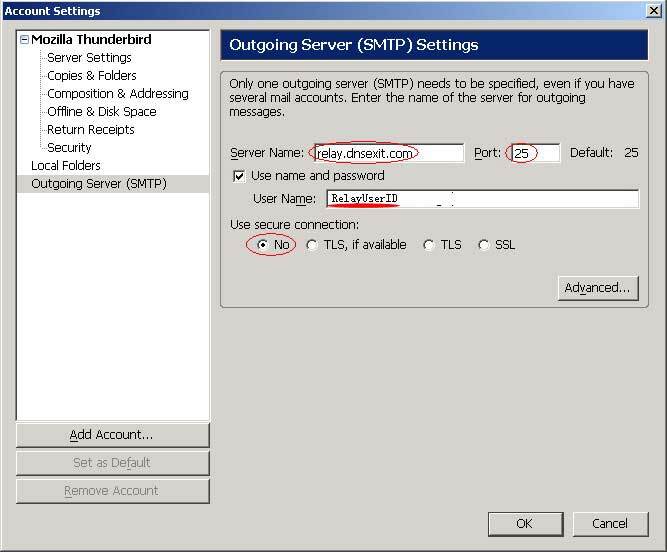 In the new window select Outgoing Server (SMTP) change Outgoing mail (SMTP) to relay.dnsexit.com. 4. Server Name is relay.dnsexit.com and default port is 25. If your ISP blocks port 25, you can use port 26 or port 940. Use secure connection shou be No. You can select yes if you want use have SSL encrypted. 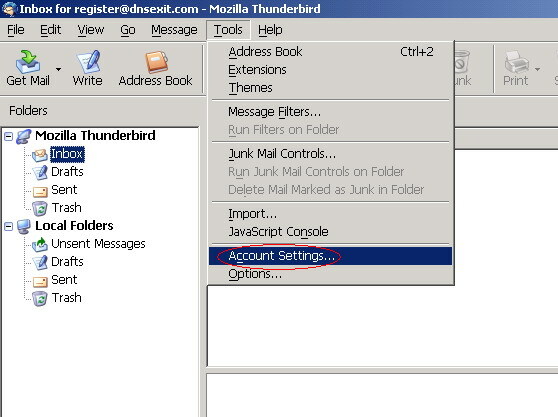 6.Click Close and Thunderbird should be ready to send out emails.